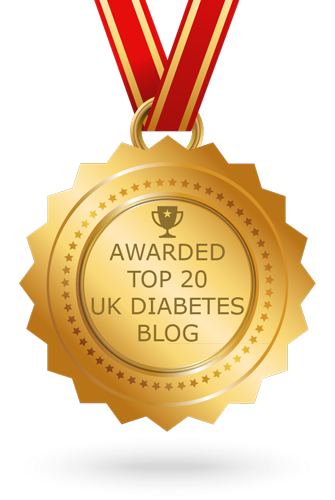 Today's Diabetes Blog Week topic is 'What is the one thing you could do better'. I suspect I'm not the only one to be thinking, 'What... just one?'. Ask us what we do brilliantly and many of us will struggle. Ask us where we need to improve and suddenly a hundred things are jostling for pole position. For the last two or three years I've been working working working... Trying to improve things. Trying to fix things. Reading and learning and experimenting. I have rarely kept better records. I have never tried so hard in the attempt to keep my BGs in range for as much of the time as I possibly can. But there is an aspect of my diabetes that I have made no progress on whatsoever. None. And it really needs fixing. I still get too grumpy about out of range results. Every time. In the old days I would get frustrated with diabetes' randomness. I still like to rage at the randomness every now and then, for old time's sake, but these days I am more likely to blame myself. I suppose this is a genuine downside of putting extra effort into controlling my diabetes. Results that I would not have batted an eye at a few years back now cloud my mind with 'Why's' and What if's'. I still beat myself up. These days, with Artoo I have even more ammunition to beat myself up with. Carb counting? Exercise adjustment? Basal profiles? Food choices? Snacking? In reality it is all of these things and none of these things that need improvement. All the time. 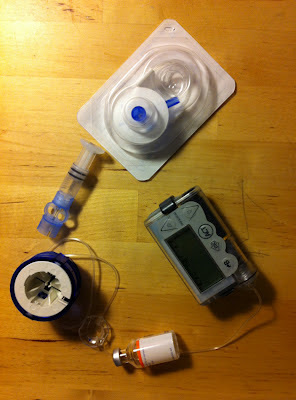 I am reminded of a brilliant post by Kim of textingmypancreas entitled 'What we aim for'. We put in all this work. We make all this effort in the hope that nothing will happen. Nothing, as Kim points out, is a pretty lousy reward. Occasionally I have had brief moments where my meter seemed to have slipped into some parallel universe of BG nirvana and almost refused to give me an out of range result however much I misbehaved. My problem is that once I had glimpsed that I began to want it all the time. Even though I know deep down that is impossible. Diabetes is too fickle, too variable. The goalposts move too often and chasing down the new 'normal' takes time and involves 'out of range' information to base decisions on. Jane is forever encouraging me to relax a bit and give myself a break. As with so many things in my life I really need to listen to her. I nearly wimped out and posted about how brilliantly supportive and understanding my family is (however grumpy I get). Or how amazing the information, hints and tips are that come flooding from all corners of the DOC at the first keystroke of a 'Bah! Having a rubbish day today' tweet. But then it struck me as I fished a fluffy fruit pastille out of my pocket to counter what might (or might not) have been a slight dip in BGs. There is a little thing that I have done ridiculously well ever since I was diagnosed. Every day! It's so much a part of my life that I no longer even think of it, but occasionally when it is mentioned to non-D types I get met with a raised eyebrow and just a hint of "Well that's a bit weird" behind the eyes. I am amazing at carrying hypo treatments around. I don't think I've gone anywhere in the last 20-odd years without pockets full of goodies 'just in case'. In sweetie-carrying terms I am way more reliable than a Werthers Grandfather (who only managed a measly 15 years). I have treatments. I have backups. Occasionally I have backups of my backups. Just after I was diagnosed I was advised that I'd have to carry something sweet on me at all times. I found a little tin in a giftshop that had a nice vintage-label design printed on the lid. Initially I carried dextro-energy tabs in it, but they were vile and I discovered that it was just big enough to carry three of four sachets of sugar - the kind you get in cafés and coffee houses so took to carrying them instead. 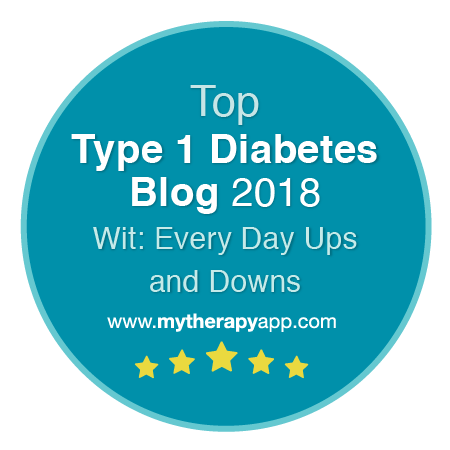 For many years I siezed hypos as an opportunity to have a funsized chocolate bar (even after I knew that chocolate was nothing like fast-acting enough really). I would have chocolate in my coat pocket and the tin in my jeans. 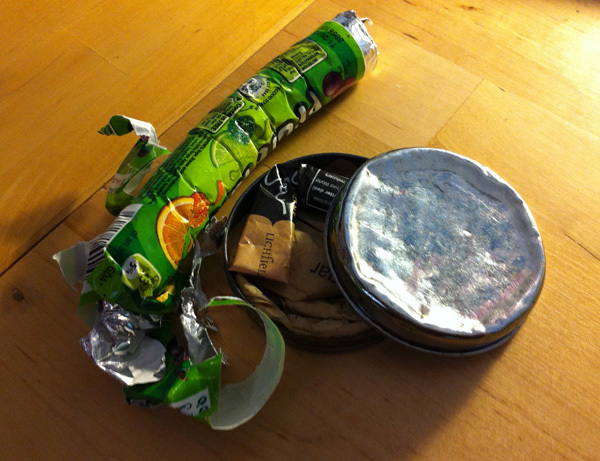 The tin became my 'last line of defence'. If ever I was anywhere and the shops were shut or there was just nothing around I would at least have something that might keep me going. I began to develop heirarchy of treatments based on their suitability to the time of year. Skittles and Jelly Babies come in small bags in some funsize assortments and are virtually indestructible in a jeans pocket during the Summer - even in 80% humidity and scorching temperatures on a brief stay in Singapore. These days my weapon of choice in tackling hypos is certainly Fruit Pastilles. A whjole pack is just a tiny bit too long until you have had the first two or three but I like to think the extra strain that puts on the tube gives it a lovable 'crumpled' quality. And the hypo-addled T2 came across and helped out a few months back didn't seem to mind. (I was able to give her a spare pack that was acting as the backup to my backup). And the tin still goes with me. Everywhere. There's not a scrap of paint on it now, of course. It has been polished to a gleaming shine by thousands of hours in my pocket, and is just very slightly dented. A couple of people who are considering going on an insulin pump were asking how I was getting on, how I was finding it and whether I thought it had made any difference. An interesting question a little over 6 months into the experience. The first thing to say is that the nagging worries I still had about attachment when I wrote a few weeks after starting on a pump have long gone. I know some people feel at one with their robot pancreas almost immediately, but it took me a good few months before I reached the stage where I rarely thought about being hooked up to Artoo, and even when I did, it didn't worry me. Things like getting changed, where the sense of inconvenience lingered, no longer strike me as irritating. If you have just started on a pump, and the attachment still frustrates you, hang in there. Not everyone gets used to it in a few days. Allow yourself time to adapt to the new 'normal'. Wearing and using Artoo is now second nature. No problem with sleeping either. I think this bears repeating from my '2 month' post, partly because it was something I really didn't see coming. There have been many times since starting on a pump that being attached to Artoo 24/7 has given me back a feeling of spontaneity. Do you remember spontaneity? I'd pretty much forgotten about it myself too. That ability to just stop and have lunch there because you fancy it, rather than having to go back home because you weren't expecting to be out that long and didn't bring your kit. There have also been *no* times since November when we've had to stop the car at the end of the street, and run back to fetch my pencil case. A properly flexible basal pattern was one of my main motivations to switch to a pump. Looking back, while on MDI my early morning 'fasting' reading of the day was more erratic than I realised at the time. Sometimes too high, sometimes too low. Only in a decent range say, between 3.9mmol/L (70mg/dl) and 7.5 (135), less than half the time (45% to be exact). Truth be known it's still wobblier than I'd like, but these days I get a decent first reading on two out of three days. That's a much cheerier start to the day for everyone at the breakfast table. I was invited to an evening arranged by Medtronic in March where pumps and pump therapy were discussed. It surprised me how many people had been on a pump for years but had never tried out different bolus patterns or temporary basal rates. If you are new to a pump I'd encourage you to get stuck in straight away. TBRs, dual and square wave boluses have more than lived up to my expectations. Many situations, like gardening and vacuuming which refused to play nicely for me on MDI have been more or less tamed by Artoo. I don't get it right all the time, but have a little 'cheat sheet' of notes for what seemed to work before to use as a basis for whatever I'm doing and I have avoided many many spikes and/or hypos since November. On the plus side set changes have become much easier and more automatic. They are a little more time consuming than a simple injection, but you do know roughly when they are due and can bring that forward/push that back slightly if it would come at an inconvenient time. The whole push-button dosing thing is so much quicker and easier than faffing about with a pen that my feeling is that I have a net gain of time spent/inconvenience endured dealing with diabetic rigmarole. I have had sites go wrong already. I still watch every set change carefully to make sure they have 'taken' properly. I had almost stopped being so paranoid, but two or three failures in quick succession have put me on my guard again. At least two cannulas have kinked on or after insertion so that insulin wasn't being infused properly. Not serious enough to get a 'low delivery' warning, but enough to cause a rise in BG levels. I had another site seemed to 'go off' at about 1.5 days. It had been fine, but suddenly stopped working as expected. I am putting these down to site issues because corrections did not behave properly, but as soon as the site was changed I was back on an even keel. I've also caught a big fat bubble in the tubing on at least two occasions when I've put Artoo back on after a shower/gym session - which makes me wonder if some odd but short lived rises in BG might be down to Artoo delivering 'bubble' rather than basal for an hour or two on other days. I check carefully every time I fill a reservoir and flick and fiddle until I am as sure as I can be that I have got all the bubbles out, but nevertheless I can still sometimes see a bubble in the reservoir at the next set change. These are not problems that you ever have with MDI. Even if you hit a dodgy site that is only going to be one out of the day's several injections. With Artoo all my eggs are in one basket. And sometimes the handle falls off the basket. I have had one-off levels on a pump higher than I've had for years on MDI, perhaps the highest since I was first diagnosed. And I've also tested positive for ketones since November - again not something I am used to. In all I've probably had to swap out maybe six sites since November. As a percentage of the total number of insertions it's not disastrous. but it's not ideal either. Another part of this is the available site locations. I was never very adventurous on MDI, but I had far more area to play with in terms of a quick injection than is suitable to have something fixed to it for several days. I'm currently using sides and back for sites to give my abdomen a rest but have to be careful to find a spot with enough 'flesh' and some places end up being slightly uncomfortable when you lean on them/sit on them/risk getting them knocked out by waistband. In theory I could use my thighs, but there's not a lot of 'spare covering' there and most of the usable area seems to be right underneath my jeans pockets which I'm forever fishing stuff out of. I worry I'd just pull the site out when trying to get hold of my my keys. But what of the results so far? It's never very easy for me to spot how things are going from day to day. A couple of good (or bad) days on the trot and it can feel like I'm some sort of perpetual Diabetes Superhero/Catastrophe. Sometimes it feels like I've been having a problem for months, but looking back just a week or two and it becomes clear that it has only been a matter of days. So I dug back through my records and picked some results to compare from three periods. Some old paper records from around the time we started writing this blog, some records towards the end of my time with the Accu-Chek Expert and some more recent ones with Artoo. I pulled 60 days of results to try to reduce the impact of a dodgy few weeks. I avoided holidays/Christmas or other challenging times of year and tried to pick a couple of 'normal' months for each. I knew things have been getting better for me in recent years, but I've not really compared and contrasted in this way before. Testing frequency was roughly even in each case (between 7 and 8 times a day) and are made up of a mixture of waking, pre meal, post meal and bedtime tests. The first thing that surprised me was how much improvement I had been able to make on my own with MDI, even before the help of the Expert. Due to an, ahem, administrative/back-up error I don't have a full 60 days immediately pre-Expert to compare, but even so, before Artoo the number of highs and lows were substantially improved. Old MDI was the worst with 20% of readings, the Expert reduced this to 10% of readings and Artoo has made a small improvement taking this down to 8.7% - clearly Artoo and I still have work to do here. The old MDI records really don't do well here, with almost half of all hypos coming in below the 3 (54) mark. Compared to what I'm used to in recent years it made uncomfortable viewing. Both the Expert and Artoo fare much better with 2.4% and 2% of all readings coming in at that level. Both with the Expert and with Artoo, none of these hypos have been 'nasties'. I can't remember the last time I had a really bad one it was so many years ago. I've been functioning, spotted them and able to treat them all myself. That may not have been the case with the old MDI records. The same pattern of worse, slightly better, better again repeats here. Old MDI shows 19% of readings over 10, with the Expert that falls to 16% and reduces to 13% with Artoos assistance. This is where Artoo really shines at the moment. Despite having subjected me to an occasional stratospheric BG with a dodgy set, in the 60 days of data Artoo only allowed 0.04% of readings to stray over 13. The Expert does surprisingly badly here with 6% while even old chaotic-style MDI scrapes in with 5%. While averages can hide a multitude of unpleasant detail, I think that here they do seem to suggest positive progression. The old MDI average was 6.8 (122) with an SD of 3.3 (59), the Expert improves this with a slightly higher average 7.2 (130) but reduced SD of 3.0 (54). Artoo though trumps them all with the joint lowest average 6.8 (122) and a significantly lower SD of 2.4 (43). YES! Absolutely. The ways in which Artoo has made my diabetic life easier to control, more spontaneous and simpler to get along with far outweigh the remaining niggles I have about infusion sites. 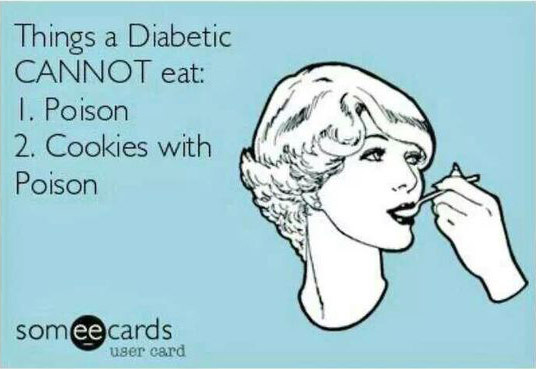 Is it like being non-diabetic? No of course not. Actually I have to watch myself not to feel downhearted if I don't have perfect levels all the time because some mad part of my brain thinks that in theory this ought to be possible now. Well unfortunately Diabetes is still incredibly annoying and has lost none of its ability to throw out the rulebook and move the goalposts for weeks at a time. I don't suppose it ever will. 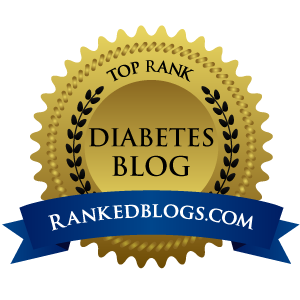 I have an HbA1c coming up in the next few months. It will be interesting to see if there is an improvement - my first post-pump A1c showed an 0.5% increase and I'm hoping I might be able to match my previous MDI result but with fewer highs and lows into the bargain.